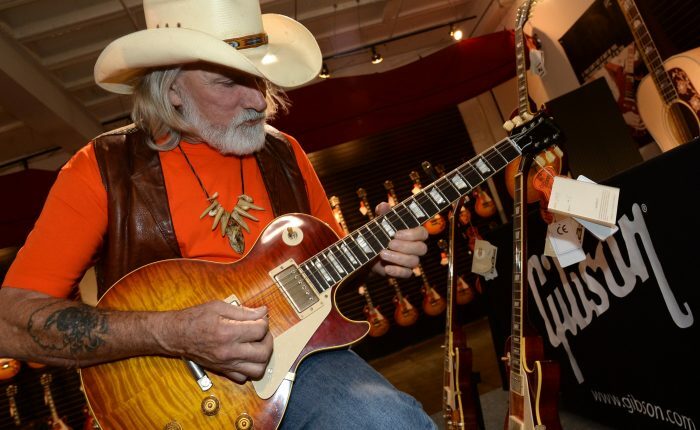 Former Allman Brothers Band guitarist Dickey Betts is recovering following brain surgery last Friday after injuring himself recently in an accident at his Sarasota, FL home. A cofounding member of the Allman Brothers Band, Betts wrote the group’s only US Top 10 hit with 1973’s “Ramblin’ Man”, while the 1973 instrumental, “Jessica”, won them a Grammy Award in 1996; he served several stints with the legendary southern rockers before leaving for good in 2000. Betts, who had recently returned to live action this year, was forced to postpone a series of concerts last month after suffering what doctors referred to as a “mild stroke”; Spero confirmed that all scheduled fall dates would be cancelled following the injury as the musician deals with recovery in the months ahead.